Sai-Jutsu - a form of martial art involving the use of fork-like weapons with an extended middle prong - is one of the traditional Japanese martial arts that originated in Okinawa. 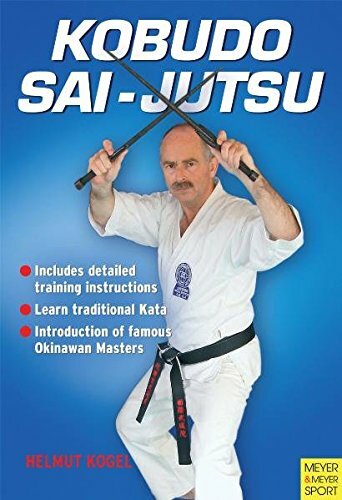 "Kobudo Sai Jutsu" is a superbly illustrated volume that provides beginners with a comprehensive introduction to the basic fighting techniques of this traditional martial art. It also covers more advanced techniques, training exercises, and traditional forms that will be of interest to advanced Sai-Jutsu students. 500 full-colour step-by-step photographs show you how. Helmut Kogel is a master in various forms of martial arts, including karate, Shotokan karate, ju-jitsu, and arnis kobudo. He has spent several years travelling Japan in order to further his understanding of traditional martial arts.